THE CRAFT BEER SCENE IN SAN ANTONIO has matured significantly in recent years. Tap handles across the city, which once poured uninspired, mass-produced adjunct lagers, now bear the names and emblems of local breweries with proud roots in the Alamo City. Numerous breweries, growler stations, and festivals have woven themselves into the fabric of San Antonio, each a product of the cultural melting pot unique to South Texas. 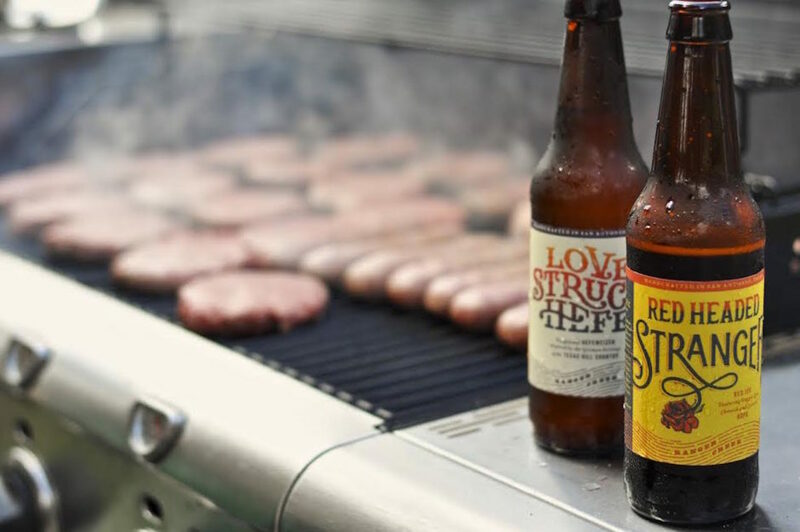 Locally sourced ingredients are a common wellspring of inspiration for these artisan brewers. Beers fermented with local produce such as ancho chiles, cherries, and prickly pears are enjoying increased popularity. Beer drinkers in San Antonio have also benefited from the growth of related industries — one of the biggest trends in craft brewing is aging beer in used barrels obtained from wineries and distilleries. Yo Soy Ün Berliner – This light, mildly tart Berliner Weisse is the perfect summer seasonal. Great introduction to a style that’s exploded in popularity recently. La Muerta – Brewed in a small batch each fall for Día de los Muertos, this imperial stout assaults your palate with roasty flavors from the very first sip. Rye Wit – Freetail’s take on the traditional Belgian witbier incorporates rye malt along with coriander and orange peel. Dry Hopped Berliner Weisse – A special-release bottle in March 2016, the flavor profile of this slightly tart Berliner was enhanced by dry hopping with Azacca, Citra, Mosaic, and Simcoe hops. A tart, fruity, freshly hopped profile is the result, and it pairs well with warmer spring temperatures. Small Batch Series – This line of single-batch beers allows the brewmasters’ creativity to shine by pairing their favorite styles and ingredients with a barrel-aging program. For their latest release, No. 11, fresh apricots were added to a year-old sour blonde ale and re-fermented to deliver a tangy, sweet, juicy finish. This relative newcomer is making waves by pairing its excellent seafood fare with freshly brewed craft beer six nights each week. 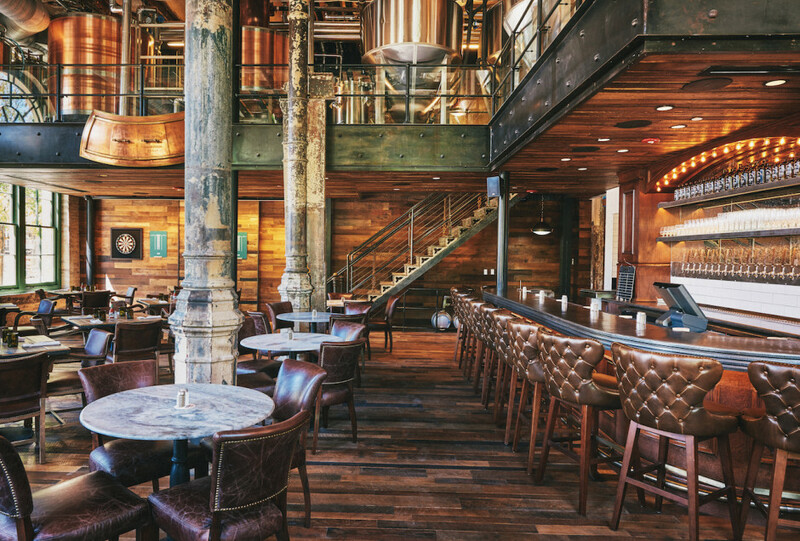 The small brewpub is located in the Pearl Brewery Complex, an area that’s become one of the city’s most prominent outlets for brewing and culinary creativity. And Southerleigh most definitely blends the two — Chef Jeff Balfour is earning accolades with his fusion of Southern comfort food, Southwestern cuisine, and Gulf Coast seafood fare. Who knew an infusion of fresh Gulf crabs was the missing ingredient in mac & cheese? Fannie Porter – A dry, robust porter with additions of curry, fenugreek, and coconut. Pair this with crab cakes for a full complement of spices. San Antonio Beer Week Collaboration 2016 – Multiple brewers from around the city joined forces to create this English Mild Ale infused with Texas pecans. Aloha Piña – Their very first beer, a blonde ale with pineapple and locally grown jalapeño, is a refreshing beverage with just enough peppers to finish with an earthy zing. Norma Jeane – Additions of strawberries, honey, and vanilla beans make this an exceptionally smooth beverage. The malts and adjuncts come together in harmony for a complex, enjoyable experience. One of the original anchors of the very hip Southtown neighborhood, located just south of downtown, Blue Star is celebrating their 20th year of brewing craft beers in San Antonio. A full menu of Southwestern favorites accompanies the tasty suds served up seven days a week, and the brewery is surrounded by some of the city’s most exciting artist studios and galleries. Visit during the monthly First Friday Art Walk for the full experience. King William Ale – This barleywine toes the line between the American and English interpretations of the style. Hearty malts dominate the experience from start to finish. Raspberry Geyser – Fresh, organic raspberries are added to a two-year-aged sour base beer to create this refreshing seasonal offering. 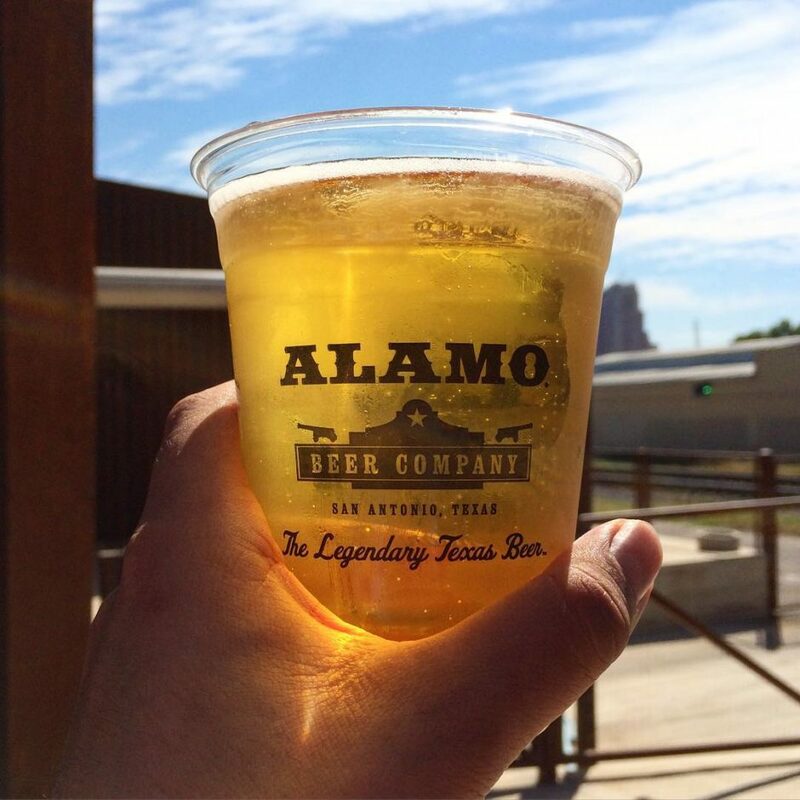 Head down to the historic Hays Street Bridge and make your own beer event any time at Alamo Beer Co. in downtown San Antonio. Taking place in April, Beer Week in San Antonio is unlike any other time of the year. If specialty beer dinners are your thing, this is pretty much as good as it gets. Don’t miss the numerous tap takeovers, pub crawls, and educational seminars to expand your horizons. Bring your friends and make new ones while sampling special releases across the city. The annual and long-running Fiesta celebration is a staple on every native San Antonian’s spring calendar, and local breweries are no exception. Many draw inspiration from the city’s cultural roots to create special one-off variants of local favorites. If you’ve never tried a beer with mole before, this is your chance! 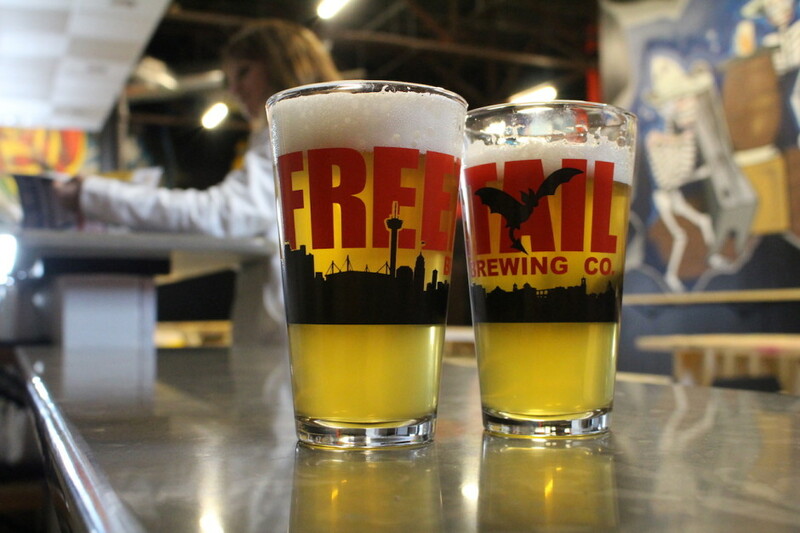 As of this writing, Freetail is the only San Antonio brewery that regularly conducts brewery-only bottle releases. In the weeks (or sometimes months) leading up to the release date, a handful of small-batch, experimental beers are bottled and reserved for the occasion. These events are typically your only opportunity to sample these specialties on draft and buy bottles of them to take home. Some breweries also allow guests to bring in bottles from their private collections to share with friends old and new. 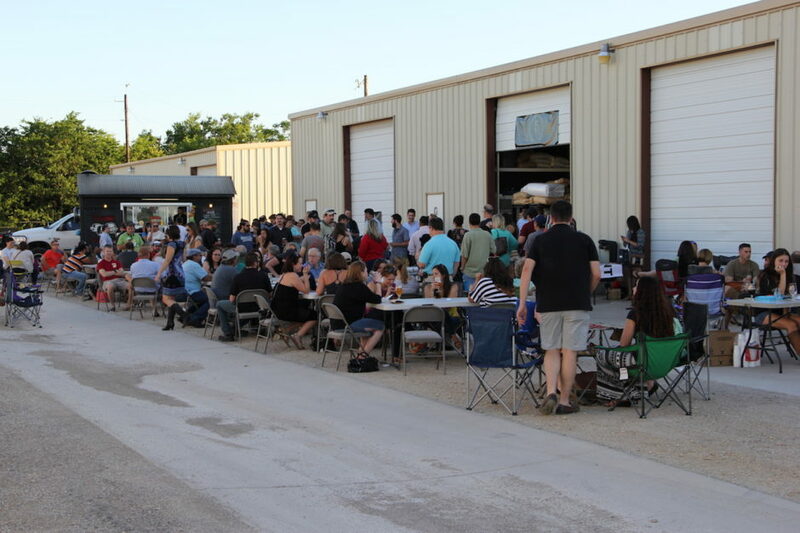 If you haven’t attended one of these events before, stay tuned to Freetail’s social media outlets in the late summer and fall to get your feet wet. German heritage in South Texas is strong, and these traditions are proudly upheld by the Beethoven Maennerchor club on Pereida St, just south of downtown. Each fall, the club hosts an Oktoberfest celebration complete with food, plenty of German beers, traditional music and singing, and more lederhosen per square foot than you’ve seen outside of Bavaria. A full day of fun for the whole family. Now in its 11th year, this fall festival is a showcase for the hottest beers from San Antonio and around the world. More than 300 beers are available, including experimental casks and collaborations. The event is rounded out with live music, a stable of food trucks, and artisan goods from local vendors. Even better, a portion of the proceeds benefit the SA Food Bank.